Our expert's design, build and manage effective visual communication projects, of all sizes. Our experts design, build and manage effective visual communication projects, of all sizes. 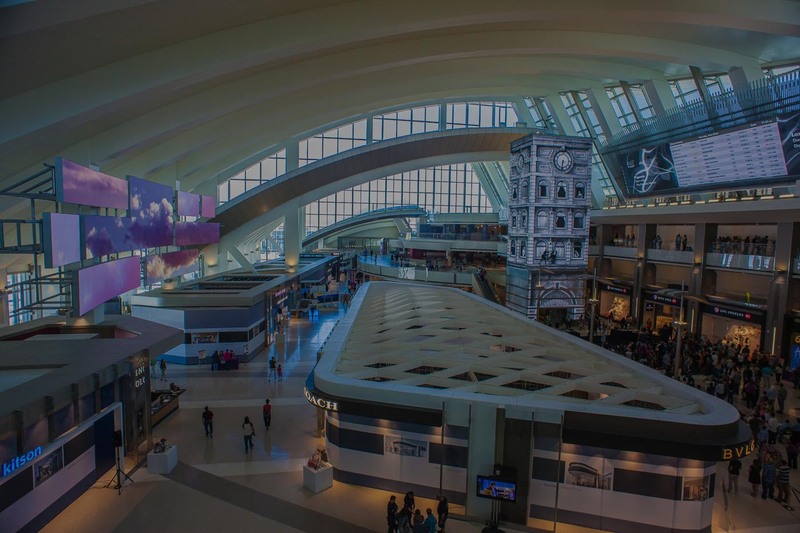 Turnkey services mean we'll take on some or all of the job. 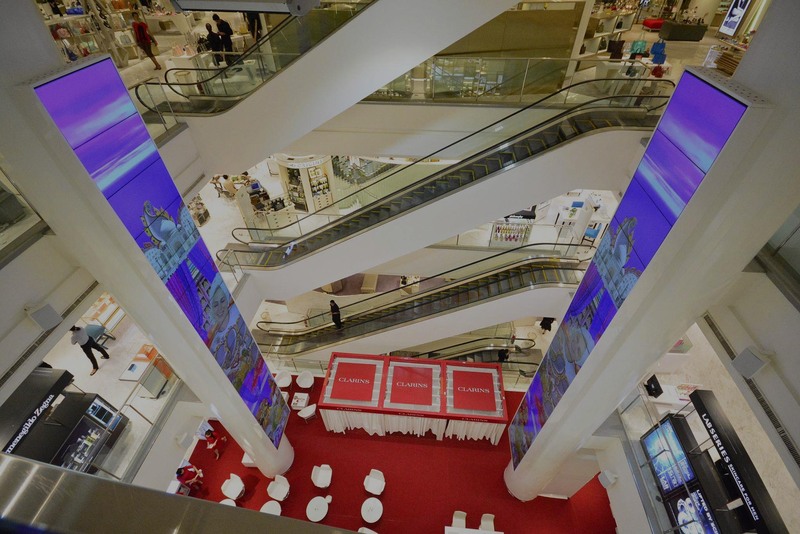 LED Displays, Retail Video Walls, Workplace Communication. Your communication network is vital to your organization. We ensure it's maintained and healthy. 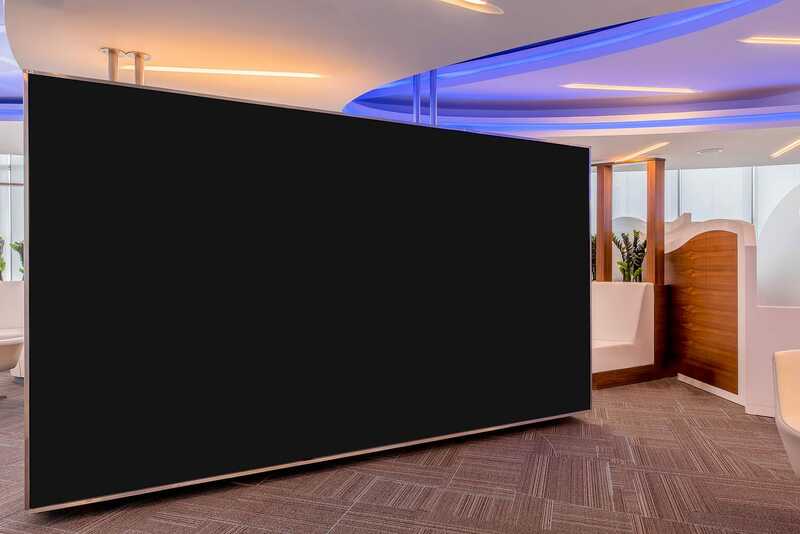 We take on all the work needed to plan, design, build and manage your digital project, so you can stay focused on the core mission of your organization. We have seasoned professionals who ensure the project is properly planned, designed and budgeted. We ensure the right technology choices are made, and that it will go in smoothly, turn on properly and on time, and run seamlessly. We help determine objectives and strategy. Technology mix, resource implications, processes, budget and timelines. 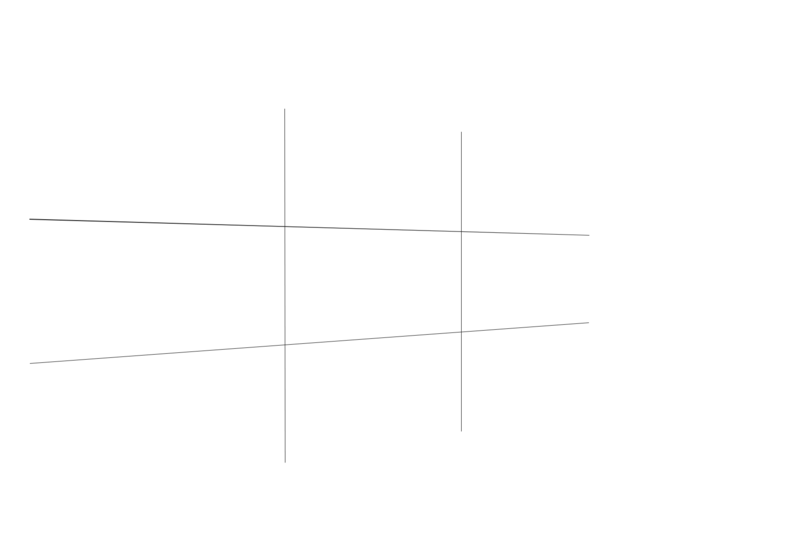 Plans for both the technical design and content programming. We’ll worry about procurement, shipping and staging. Experienced on-site installation and coordination with related trades. We train clients on using the system, or we’ll handle that for them day-today. 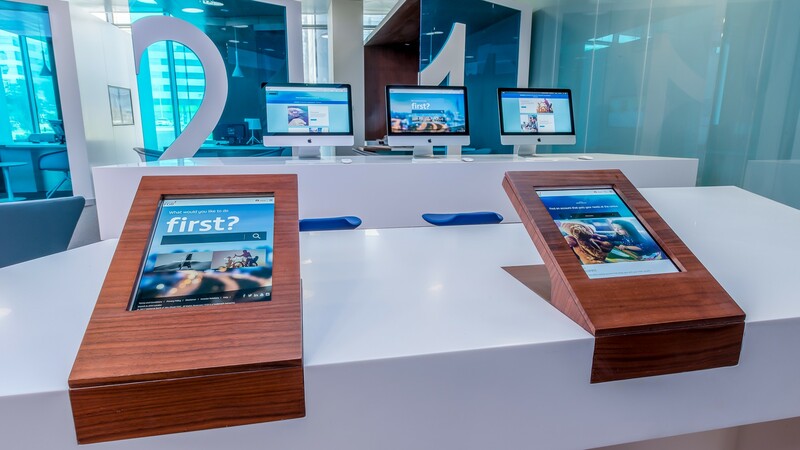 First Gulf Bank now "FAB"
In a time of transition and digital transformation, we are proud to work with First Abu Dhabi Bank in the opening of their new Abu Dhabi Headquarters. 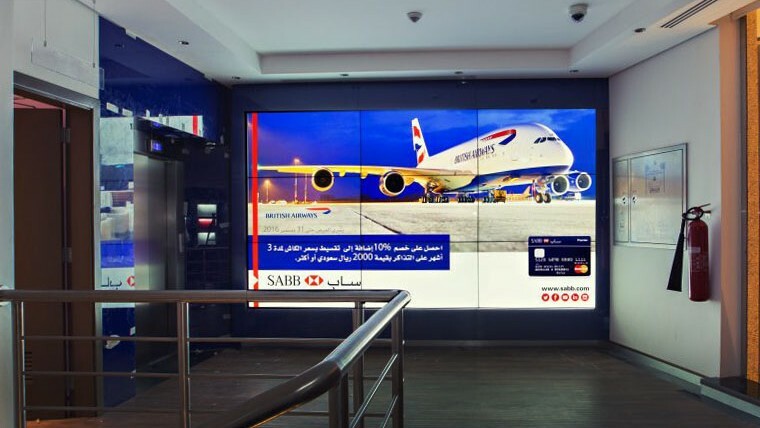 We are very excited to have worked with Saudi British Bank in their Digital Transformation project. 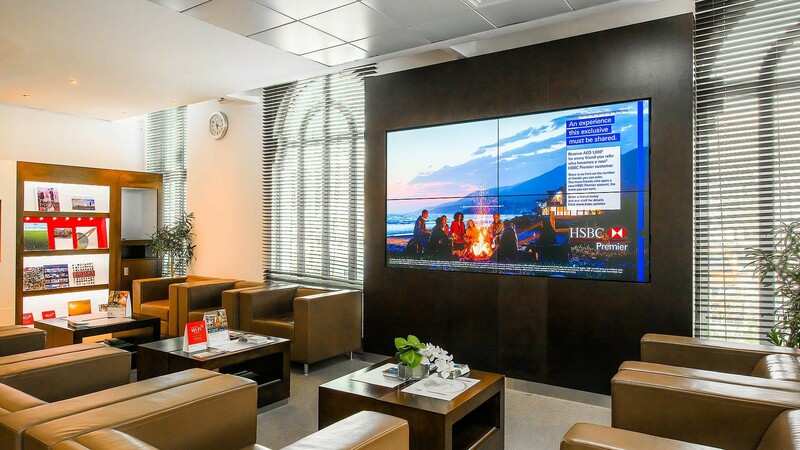 Digital Signage creates a tranquil environment at HSBC and delivers effective visual communications. 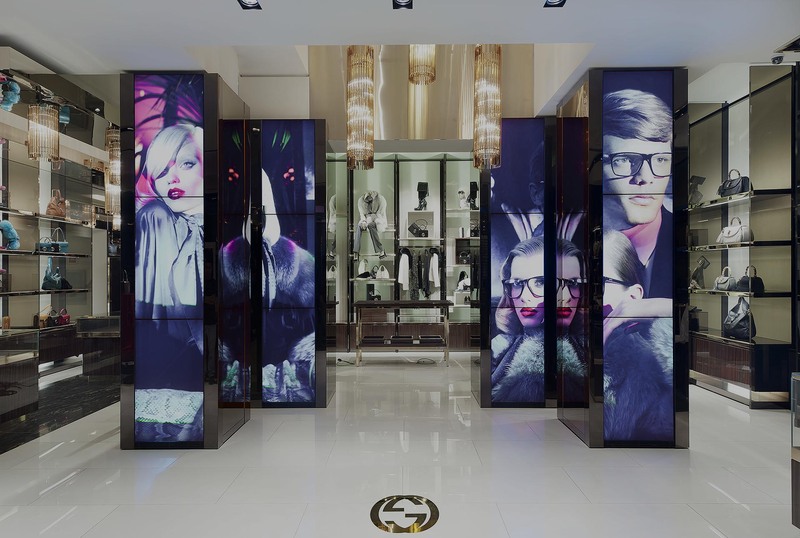 Transform your display into a destination with nonstop, brand owned and user-generated content. Get unlimited access to global news, entertainment, sports, weather, lifestyle and much more. These renowned companies trust us. Join them.